At VONT, we understand the constant demand to increase lead generation. We also realize that more leads do not always equate to higher enrollment numbers – or at least not efficiently. The need for leads in higher education is a continuous cycle. While the enrollment journey for most students is linear, chances are, if you are part of the team responsible for turning leads into committed students, your lead nurturing is anything BUT linear, and that can make the process overwhelming. Each prospect has different needs depending on where they are in the enrollment funnel; if they are undergraduate or graduate prospects; and if they are prospective students or those students’ parents. Ignoring these differences can result in leads going cold, ultimately leaving your enrollment numbers flat. Increasing the number of leads in the enrollment funnel takes time, can be expensive, and, as mentioned earlier doesn’t necessarily equate to increased enrollment numbers. So instead of simply adding more leads to the funnel, consider investing in a lead nurturing strategy – one that can improve your lead conversion rates and lower the cost per committed student. Why include lead nurturing in higher education recruitment? Including lead nurturing into your recruitment strategy will help you make the most of the resources, dollars, and leads that you already have; resulting in higher conversion rates. In the world of higher education, lead nurturing is the process of developing relationships with prospective students through every stage of the enrollment funnel, and through their application journey. Lead nurturing uses tactics your institution most likely already has in place, but segments the communication to the different leads in a personalized way and provides them the information and answers they need to become committed students. Many colleges and universities make similar mistakes with prospective students early on, resulting in qualified leads going prematurely cold. For example, using the same messaging for all new leads, or relying on a singular outreach tactic to reach students, parents and prospects alike. The best way to avoid these mistakes is to build a solid plan from the start. This plan should include segmentation information for each lead type, what information you seek to collect from prospective students, what your compelling content offers are, and how you will deliver those offers to the right prospects in a personalized and strategic way. Each one of these steps will help qualified leads move from one stage to the next in your enrollment funnel. 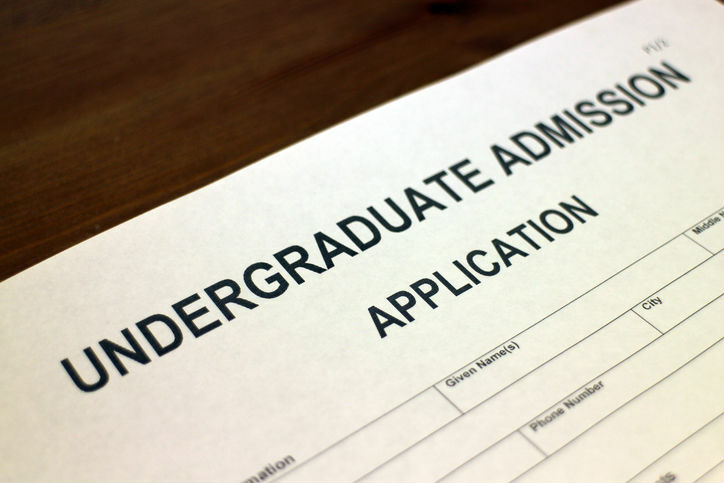 Always be mindful of where your prospective students are in their application process, and your enrollment funnel before reaching out to them. The information you communicate, and the way that you do it should vary based on their lead stage. Be sure to assess your team’s capacity and technology capabilities before jumping to execution. You’ll want to be clear on what your team is and isn’t capable of in terms of outreach tactics, content creation and lead management throughout the lead nurturing process. While not a requirement, having a customer relationship management (CRM) tool in place can help execute the lead nurturing process with fewer headaches. CRM tools can track your leads throughout the enrollment funnel and help trigger the appropriate communication tactics as needed – helping your team stay nimble and efficient in the delivery of meaningful engagement. Click here for VONT’s free Lead Nurturing Plan. Remember that common mistake we mentioned earlier? The one where you send the same communication to all your leads regardless of their segmentation or stage in the enrollment funnel? Many colleges and universities send blanketed messages to new leads, typically through email. Over and over again. The result? No response. The email itself isn’t necessarily the mistake. More than likely, the standardized messaging or lack of personalization resulted in it being ignored. Or maybe, email just wasn’t the right medium for that particular lead. Perhaps a Facebook video or Google display ad would have connected better with the target. Including various communication tactics at each stage of the enrollment funnel can improve your budding relationship with your leads. And, once you’ve integrated a lead nurturing process into your recruitment strategy, you should see conversion rates of existing leads go up, creating a lower cost per committed student. If your college or university is faced with decreasing enrollment numbers or merely looking to boost enrollment, the best solution may not be a simple increase in lead generation spend, as this can be a costly endeavor. A more cost-effective approach is to simply improve your lead nurturing process; which often requires only an incremental investment. For example, if you improve your lead to enrollment rate from 10% to 12% (very feasible), you would increase enrollment by a whopping 20%. To achieve this same increase through lead generation you’d have to spend 20% more budget! Depending on your marketing budget, a 20% increase in spend can cost thousands, even tens of thousands. However, utilizing a strategic lead nurturing plan with only an incremental budget increase could keep your marketing costs down while increasing students! Seems like a no-brainer, right? Download our Lead Nurturing for Higher Education: A Basic Plan now and get started.